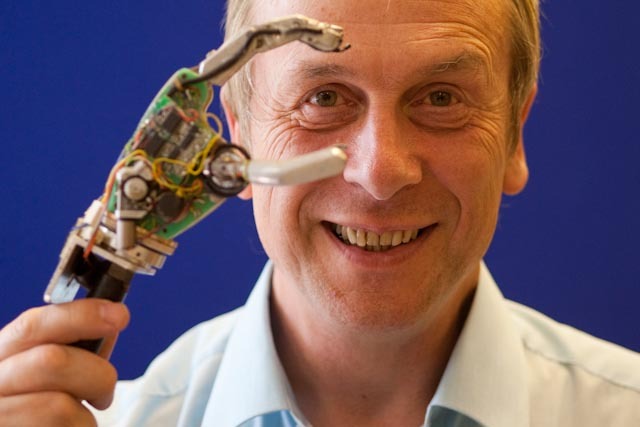 ‘I find it amazing that you can have top engineers, academics and CEOs working in the field of technology, that can go through their entire careers and never have their work appear on the TV news.’ Meet Kevin Warwick, professor of cybernetics at the University of Reading, perhaps better known to the public as the man who modifies his body with electronic implants. From the very start of the interview he doesn’t mince his words and he warms to his theme. ‘Are you seriously telling me that they’ve never done one thing in their life that is sufficiently attractive to the BBC that they can’t feature it on the TV for one minute?’ If that is true, says an incredulous Warwick, they should be ashamed of themselves and ask what on earth they’ve been doing with their time. I put it to the professor that as a journalist I know that some of these people are doing brilliant things: it’s just that the commissioning editors at the BBC and in the broadsheet newspapers are either not interested or haven’t been informed. We’re sitting in Warwick’s office in the School of Systems Engineering, an upstairs room longer than it is wide. Office is perhaps too strong a word for what might be better described as a rabbit hutch. But it is one of the most fascinating rabbit hutches you’re ever likely to visit. This is not because of the intimidating piles of academic paperwork, but because there are bits of robots strewn everywhere, which, as I later discover, he’s only too pleased to demonstrate. 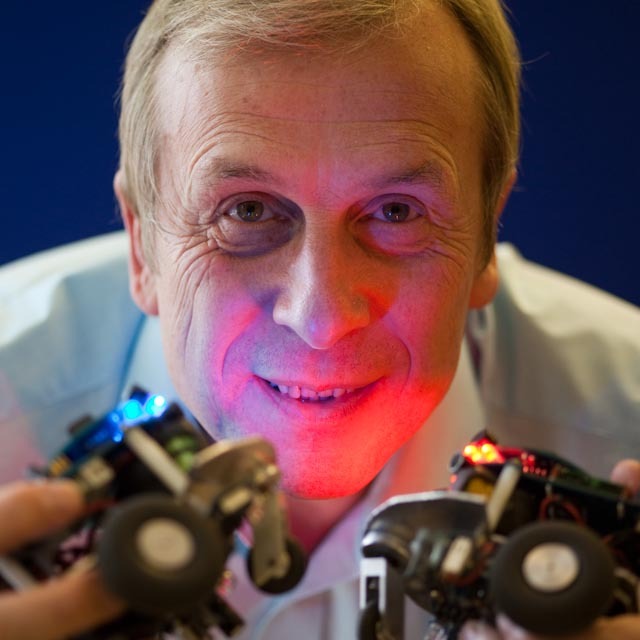 Kevin Warwick is a leading thinker on how the future will look and his areas are artificial intelligence, cybernetics and robotics. 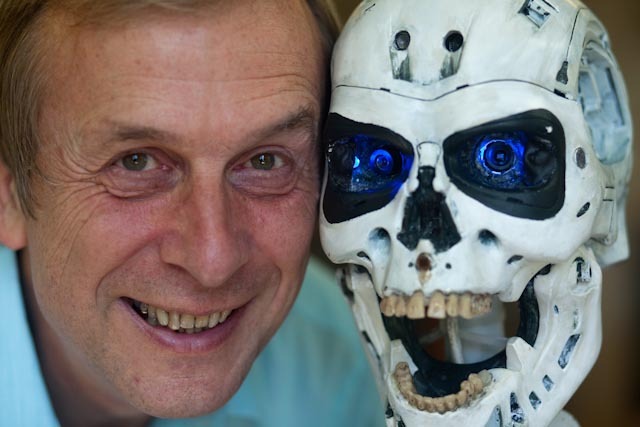 His most famous piece of research – Project Cyborg – projected him into the limelight in the late 1990s, when he implanted a computer chip into his nervous system that could record and read his emotions and experiences. He has been working on using intelligent computer methods to predict the onset of Parkinson’s disease, so that it can be prevented by means of a deep-brain implant. His rat-brain robot – using artificially grown rat-brain tissue – drives a robot round a laboratory which helps us understand more about how our brains work, and even to develop treatments for diseases such as epilepsy, Parkinson’s and Alzheimer’s Disease. Warwick was born in 1954 in Coventry and he attended Lawrence Sheriff School in Warwickshire. He left school in 1970 to join the GPO (later British Telecom) at the age of 16. In his twenties he took a degree at Aston University, followed by a PhD and a research post at Imperial College London. He took up the Chair in Cybernetics at the University of Reading in 1987. 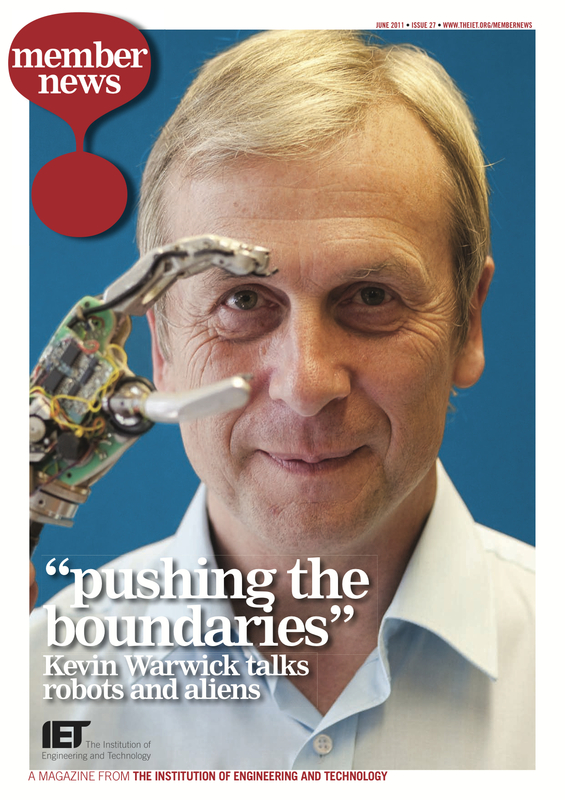 Warwick uses his first implant as an example of how the public can be exposed to technology. While his technologically literate critics were scoffing at the comparative mundanity Captain Cyborg’s RFID implant, ‘this was probably the first time the man in the street had ever encountered a radio frequency identification device. The term today is perhaps more familiar than it once was. But how does it work? In my presentations I try to explain. And what I do is very much the same as what Michael Faraday was doing with a coil of wire and electric current. 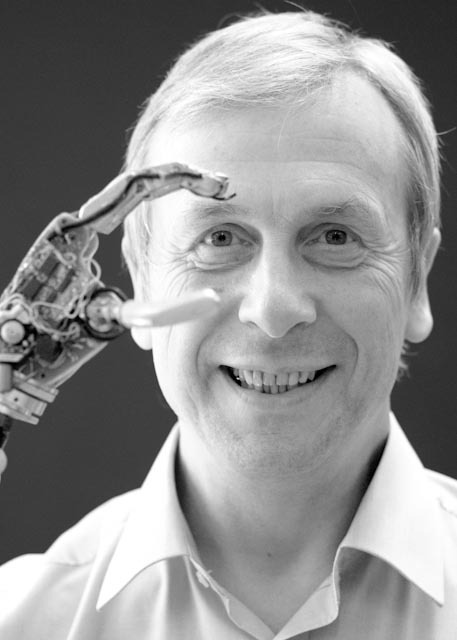 If can try to get people to understand some of the fundamentals of what we do as scientists and engineers, then perhaps they won’t be so scared of it and will be able to come up with their own ethical position.’ Warwick says that this enables people to decide whether they like the idea of the human body being modified in this way or not. ‘Ethically, I imagine that people have no objection to my work on the frontiers of making life better for people with Alzheimer’s disease. But when it comes to using that same technology in other parts of the brain, we start to push the boundaries of what it means to be human. So, even something that looks okay on the surface – because it’s therapeutic and you’re working with surgeons – raises many questions because you can corrupt the signals that are going into somebody’s brain. 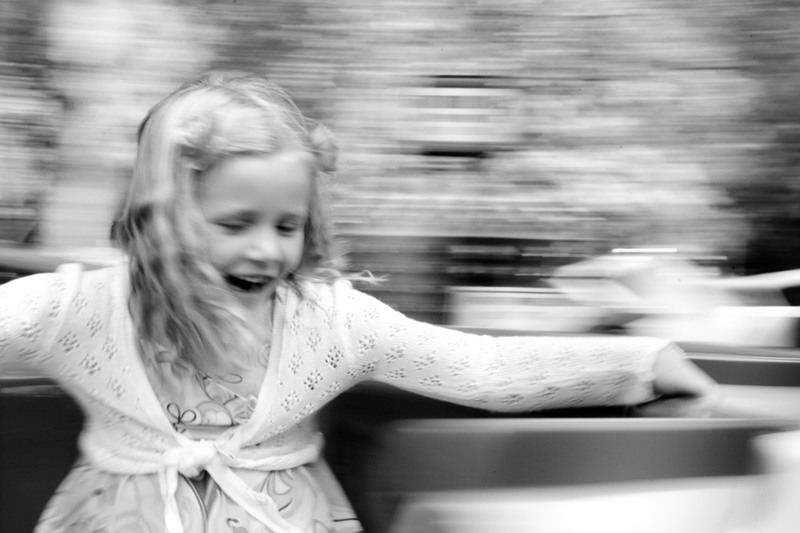 ‘We’ve been putting chemicals into our brains for 5,000 years. But the brain is electrochemical, just as in the way a battery is. We have historically produced medicine that is largely chemical: you have a headache, you take an aspirin. But there are enormous opportunities for electronic medicine. There is an enormous potential for altering how the brain and the nervous system that we haven’t really started to look deeply into.